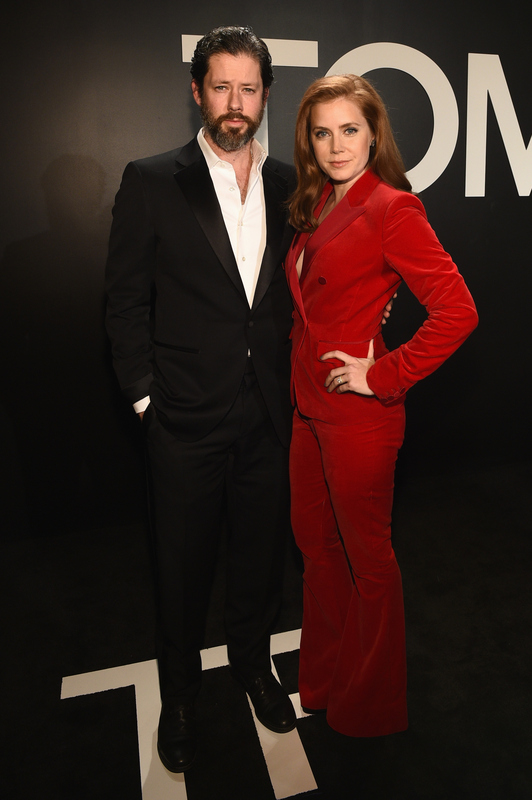 There have been rumors circulating that Oscar-nominated actress Amy Adams is marrying Darren Le Gallo. Nothing has been confirmed, but based on Adams' 2013 declarations that she has no interest of tying the knot with her fiancé of seven years "anytime soon," one might lean towards the reports as being false. However, seeing as Adams and Le Gallo have been together for 14 years and engaged for seven, well, there's always a good chance they're ready to walk down the aisle. Seeing as nothing is going to be decided at this very moment, nor am I going to be able to figure out if the rumors are 100 percent true or false, let's focus on something else regarding this lovely couple. For example, how did these two meet? According to People, Adams and Le Gallo met in 2002. Where did the lucky duo meet? Actually, they met at an acting class! That's right, the two have much more in common than their love for one another and their 4-year-old daughter, Aviana. It's no surprise that Adams would attend an acting class, but for those who don't know Le Gallo, he is also an actor. Funnily enough, he starred in Trouble with the Curve as a nurse, which also starred Adams. Anyways, it looks like their love of acting brought them together. Do you think it was love at first sight? Maybe it was reading lines that really made them fall for one another? There's also the chance they were doing improv and realized the attraction. Whatever the case, Adams and Le Gallo have been inseparable ever since. So, next time you're at an acting class, a writers workshop, a cooking class, or whatever you're into, just remember, you might find Mr. or Mrs. Right, which means you'll probably end up with the love of your life like Adams and Le Gallo. Seeing as the two have been together for so long, let's take a moment to look at some of their cutest moments, because after 14 years, there are bound to be a few, right? That's what 14 years together looks like.